In another round of clearing away my blogging backlog, here’s a handful of quick recent hits. West Bridge opened earlier this week, and I was there for dinner last night with a friend. We had a great time, and I think the place will do well. 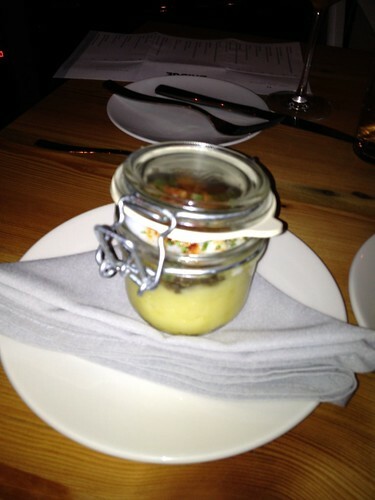 The food was delicious, including their signature “egg in a jar” and the desserts we’ve tried. Service is still getting going, but the wine list has good options by the glass, the ambiance is nice, I bet their outdoor seating will be fun, and the manager was kind enough to take us into the kitchen for a tour and a chat. Sweet Cheeks has been open for a little while, but every time I tried to go it was packed. I finally had a chance to stop by last weekend, and it was delicious. Their pork belly and pork ribs were both really good, and the ambiance is fun. I think the “mason jars for all drinks” trend is overdone, particularly for beers, but other than that, it’s a fun place. Tupelo is not new either, but I just went there again with some friends this past weekend, and realized I hadn’t written it up. It’s a nice, authentic place on Cambridge Street. 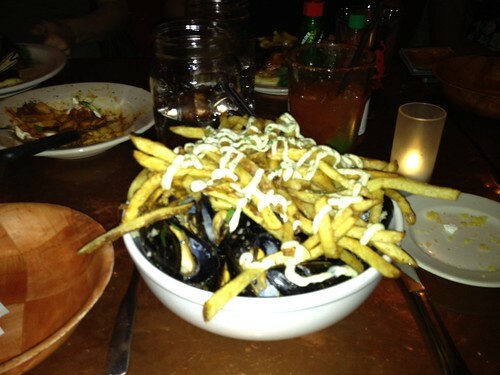 Although it’s a “southern comfort food” place I actually had mussels frites last time, and they were delicious. 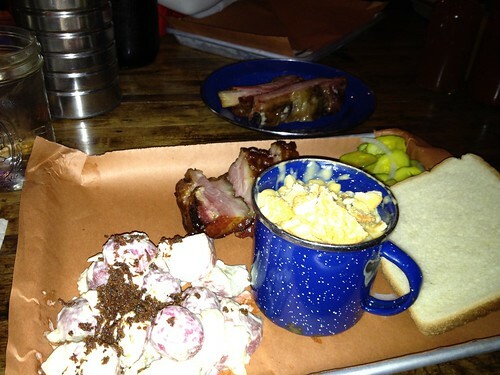 A huge portion, as you can see below. Also, if they have the pork belly “corn dogs” special, get it, because it’s amazing. Service was just OK, the decor is underwhelming, and the drink options are a little disappointing, though. The reason I went to Sweet Cheeks (above) was that I was in the area for appetizers at another new place, Michael Schlow‘s “Happy’s Bar and Diner,” also in the Fenway neighborhood where I used to live. This place was just OK, not amazing, but then again they’re still figuring their act out, and diners are not my typical favorite kind of restaurant. 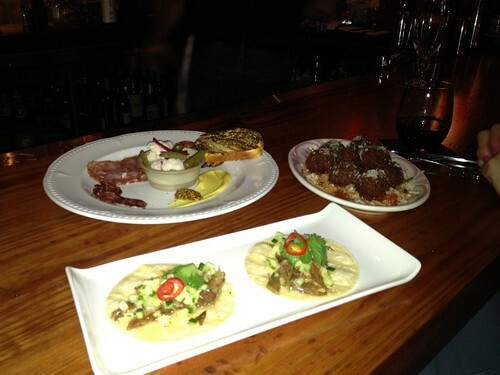 The tacos were kind of bland, but the spicy meatballs were good. Onto another note, two fun recent products. I got a new custom laptop sleeve for my MacBook Air from Caseable, and it’s great. It fits like a globe, the graphics look good, it was built quickly, shipped quickly, and I’m very happy with it. For only about $20 than a boring standard case from the Apple Store, you get something unique. I also put my contact information in huge font as the “image” on the back side, obviating the need to stick business cards in there. And last but not least, a friend got me a couple of gift sachets from Juniper Ridge, and they smell amazing. Really nice. Whew, it feels good to be making progress through my backlog!